How to Run a Business on a Bike! The Icicle Tricycles Bike Business Solution. Stuck in a brick and motar? 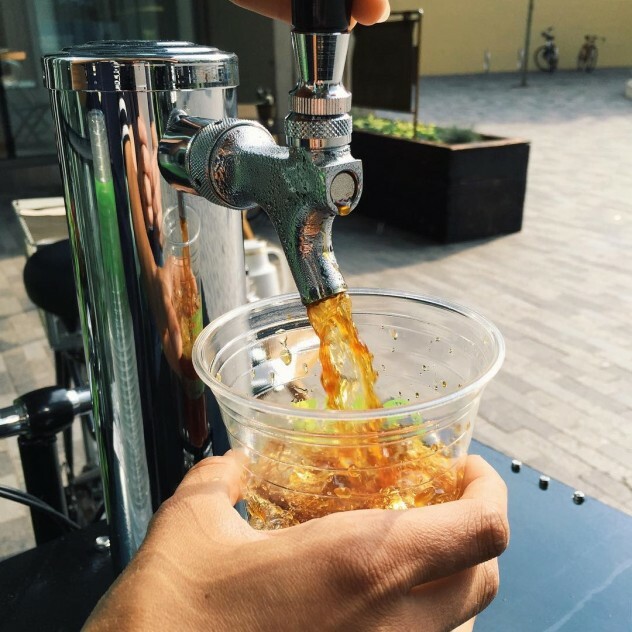 Out of cash for pumping gas into a food truck? Muscles strained from pulling around a food cart? Maybe you have a business that needs some new wheels! …Turn your company building into a bike! 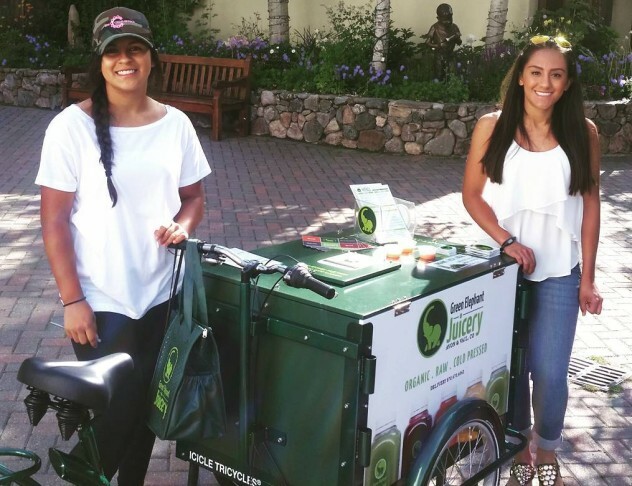 Get off the food truck and peddle your business the eco-friendly way. Give your company a new kind of speed – bicycle speed! With the rising trend of cities becoming more, and more pedestrian and bicycle friendly, the expansion of car free downtown areas and public spaces is increasing. Pedestrian byways and ample cycle lanes are becoming the new norm of city development. This new trend is a turn of the tide for small business owners! A potential gold mine! Just imagine a whole new form of foot traffic. A much different form of foot traffic. An increased spike in foot traffic that’s encouraged to stay in Downtown and public park areas. Now picture all of those people. All of them creating a new type of laissez-faire. A burgeoning estate of untapped market potential! More people out means more hands to trade money and more people to talk about it. Foot traffic to your business or your business to the foot traffic! With so many new bicycle and walking routes springing up, doing business by bike has never been easier. Just think of anything someone might want to buy, put the word bike at the end of it, and you’ve now created a niche market for an already existing one. A beautiful, quick and easy business strategy that’s good for your health, the environment, and your wallet! No more rent. No more need to bring people to you. 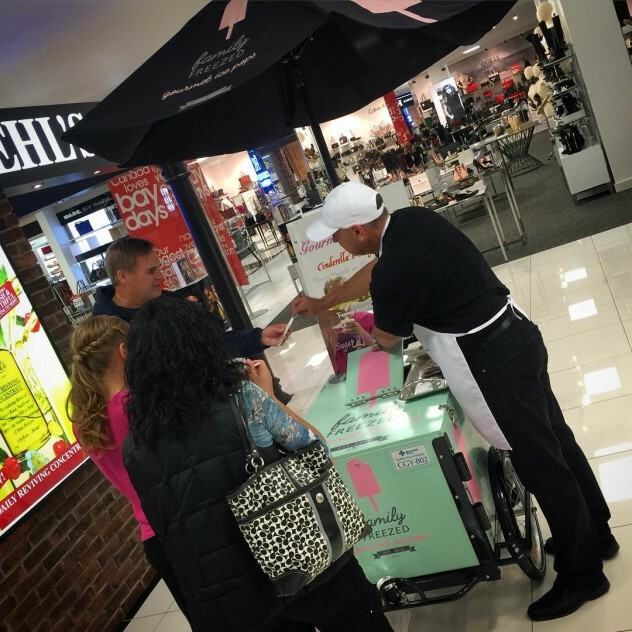 Roll out to your customers and give them something to gawk at! 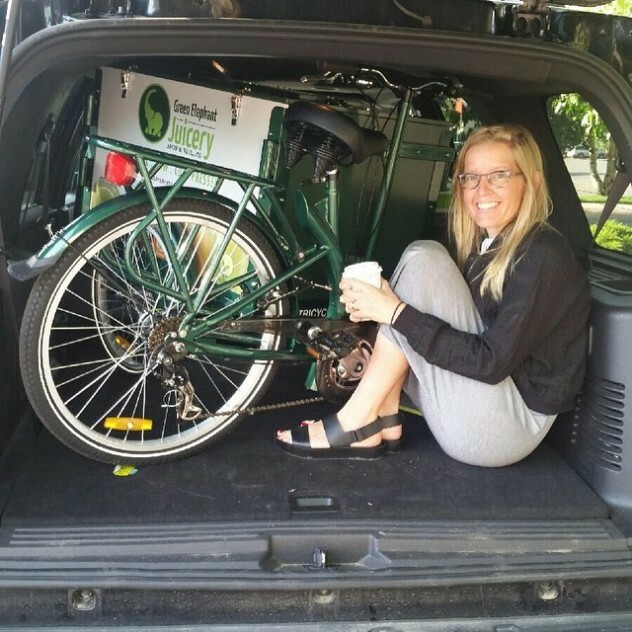 A business on wheels that looks great, feels great to ride, and fits snugly just about anywhere. It’s safe to say that most city planners understand the importance of traffic flow. How people can get from one place to another, and how each of those places are explored. If a particular area is popular, city planners work to make that area more accessible and enjoyable. Bike lanes and car free zones are most often the best solution to this. Often, with big box stores regulated to city outskirts. This leaves lots of wiggle room for small business owners and entrepreneurs to take stake. 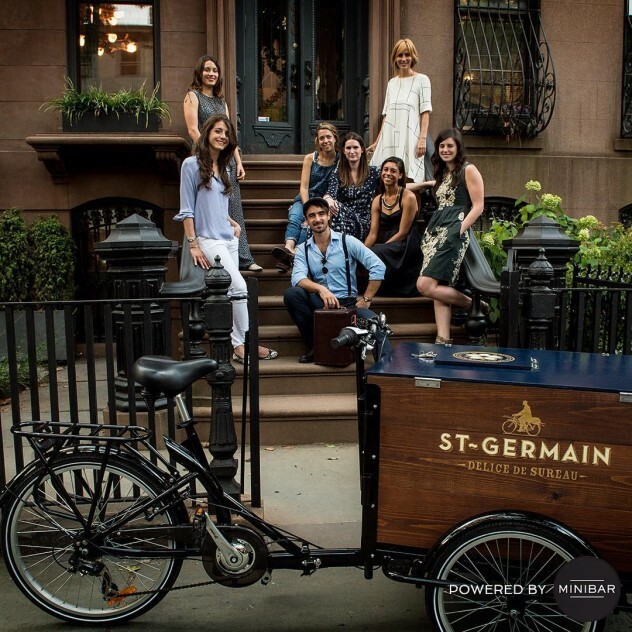 Owning and Operating a business from a bike just might be the best new way to peddle! Like your own market share space with lanes butting you right up to, alongside, from behind, and right in front of potential customers! 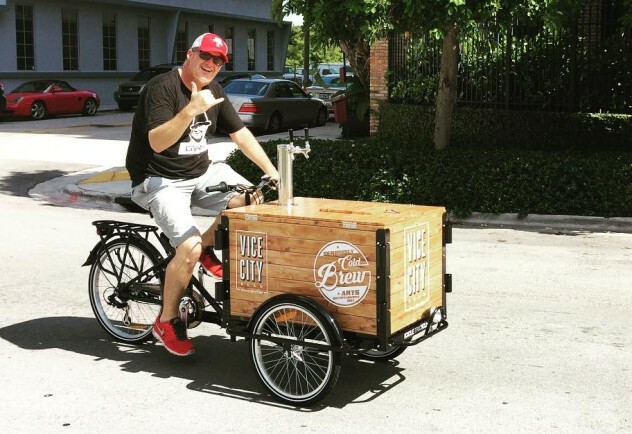 Running a business on a bike is becoming the new way to do business. You can literally pedal circles around your competitors! Just as well, with so much shopping being done online, people are spending more time taking walks. Why not roll right up and offer them an experience not available through their internet browser. 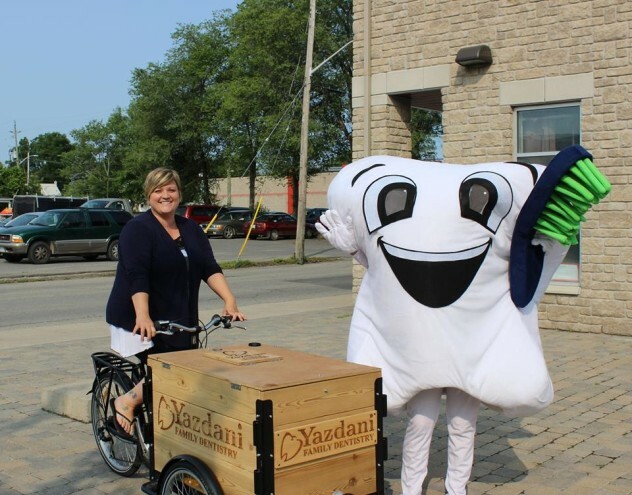 Market and advertise your business on a bike to exemplify your brand as one that’s connected to the community. Start a line of marketing activation bicycles that reflect these new city environments. An eco-friendly business that correlates itself to the natural flow of traffic – not one that creates it! Face it. People prefer small businesses and people love small business owners! 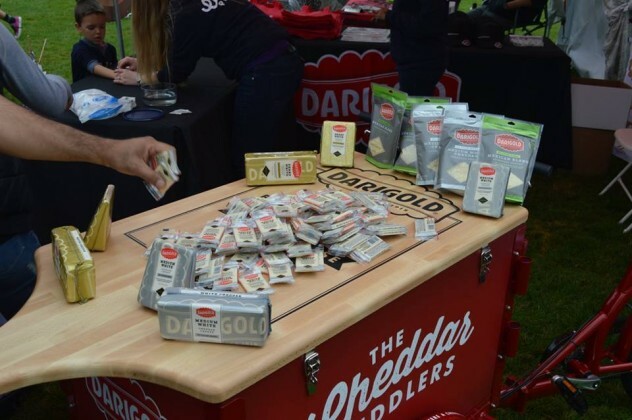 People also enjoy scaled down versions of their favorite products. Something big offered in small. Something gigantic into something mini. 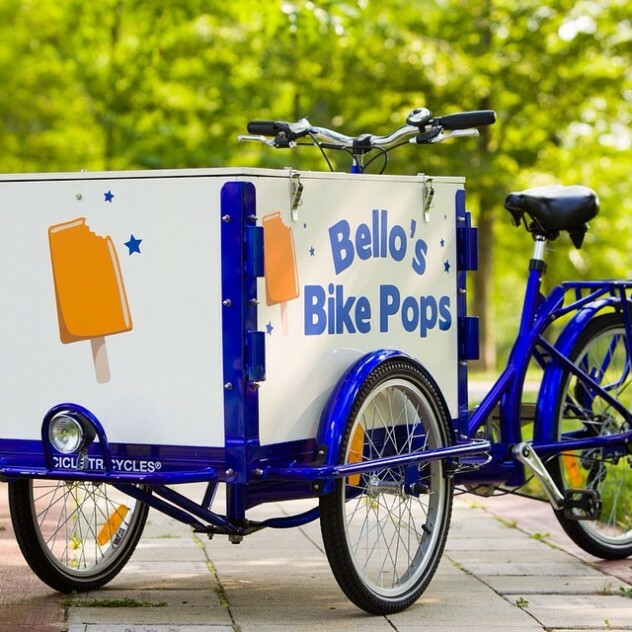 What better way to show off your small business than with a sleek and compact Vending or Advertising Bike. Another bonus: Be your own boss! Roll out your business plan whenever and wherever you can pedal! No more traffic jams to work, a boss, or a 9 to 5 to report to. Just you, your tricycle, and your way of doing things. Your business, your life. An IceTrike to get you rolling. No need to waste your cash building a high rise tower or renting a brick and mortar, when you can operate your business at any location at anytime! The freedom of a bicycle with the power and convenience of your own imagination! 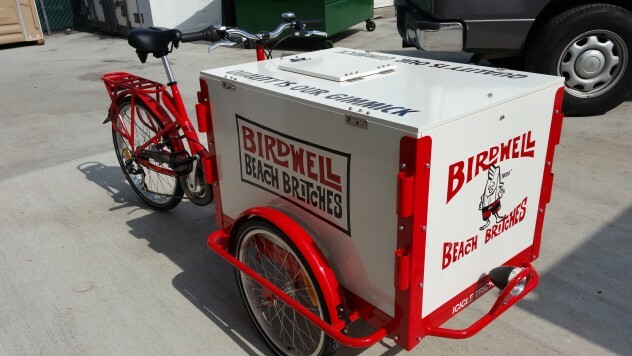 Businesses on Bikes couldn’t be easier with an Icicle Tricycles Commercial Cargo Bike. 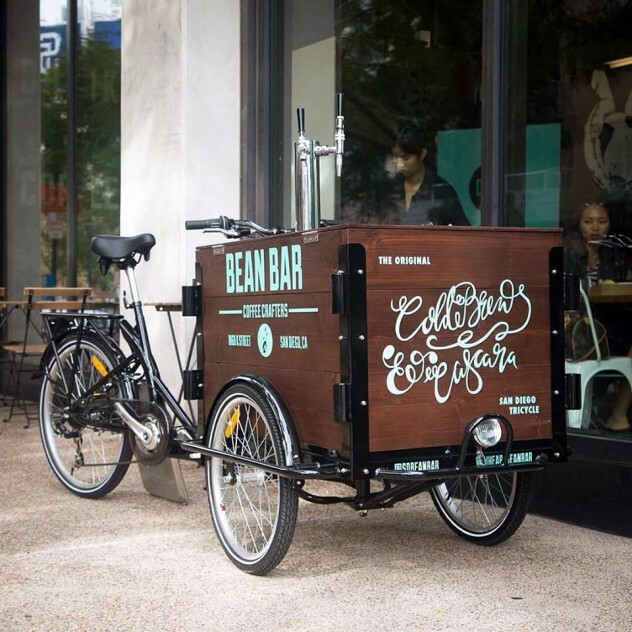 With the growing amount of opportunity to do pedal powered vending and advertising, operating a business on a bike is becoming the new norm. 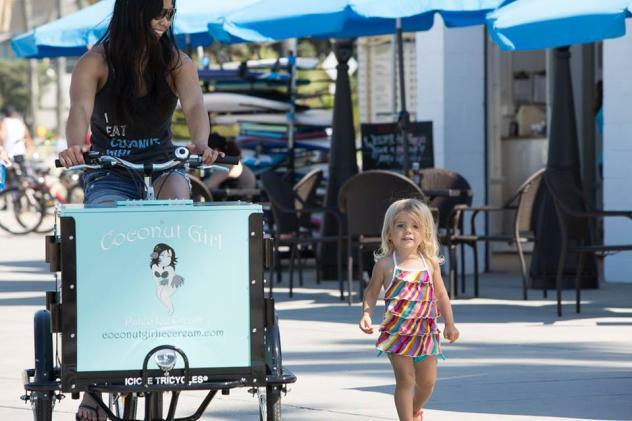 Just like food trucks and food cart lots have changed the way people go out to eat, commercial cargo bikes have begun to take stake beyond their common associations. 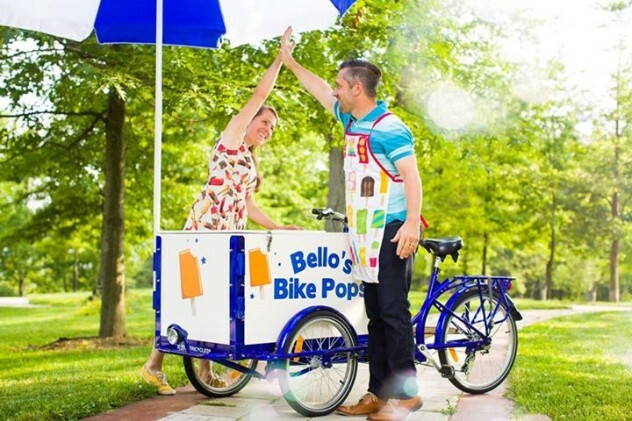 While traditionally utilized to vend hot dogs and ice cream, it’s now becoming a tradition to see much more being marketed and sold on a bike. 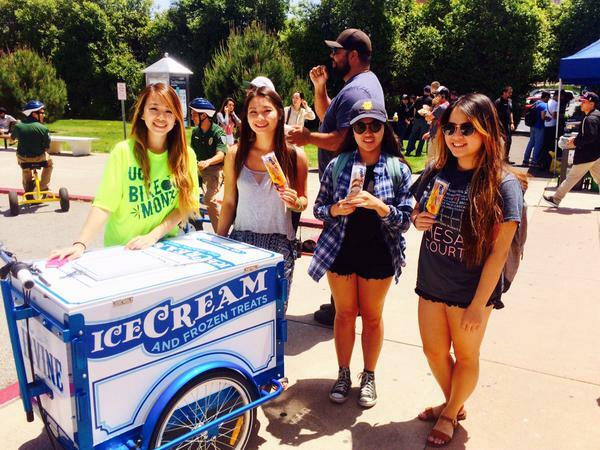 The Ice Cream Bike has been around since people first started to enjoy ice cream. A simple snack for a simple machine. A perfect marriage between cream and bicycles! Whether on a stick, in a cone, a cup, sandwich, or even in a bun (take a trip to Thailand! 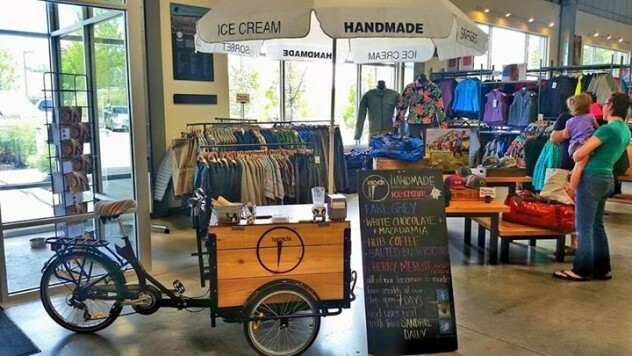 ), ice cream is ridiculously easy to sell by bike. Just about everyone loves ice cream. 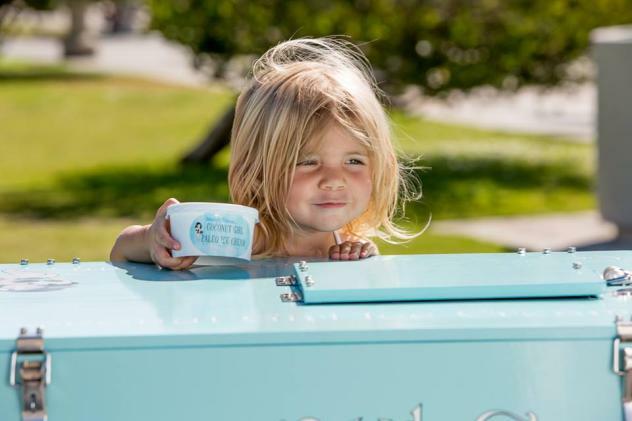 Whether they’re 7 or 103, just about everyone is in the mood for ice cream all of the time. Ice Cream is good anywhere. People are everywhere! Roll out to a beach, a boardwalk, farmers market, or a music festival. 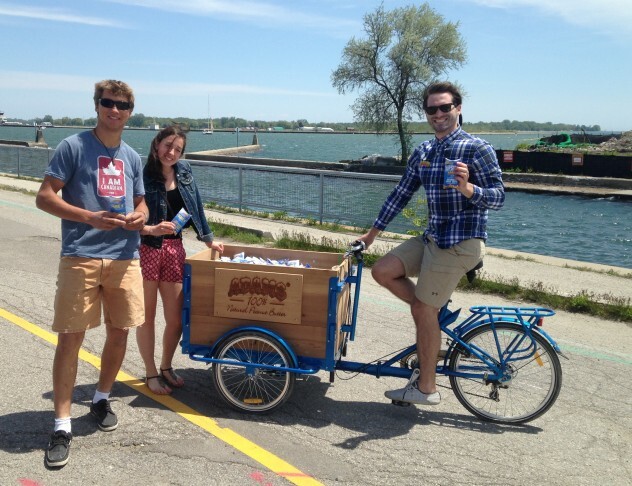 The possibilities and ease of selling ice cream by bike are pretty much infinite. 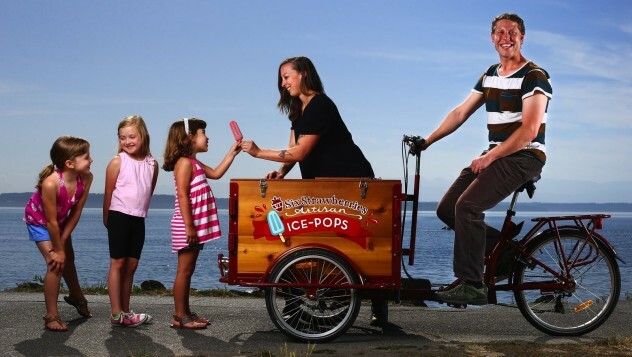 With a compact ice cream bike from IceTrikes, you’re a sure fit anywhere – both inside and outside. IceTrike bikes fit through standard ADA accessible door and hallways with ease. 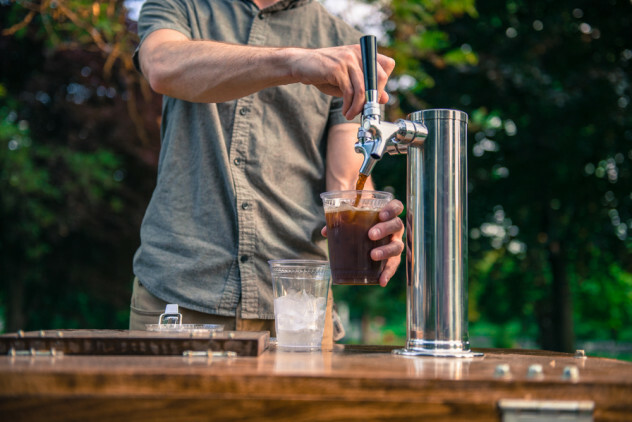 Similar to ice cream, coffee is the all around beverage of choice – hot or cold, caffeinated or decaf. 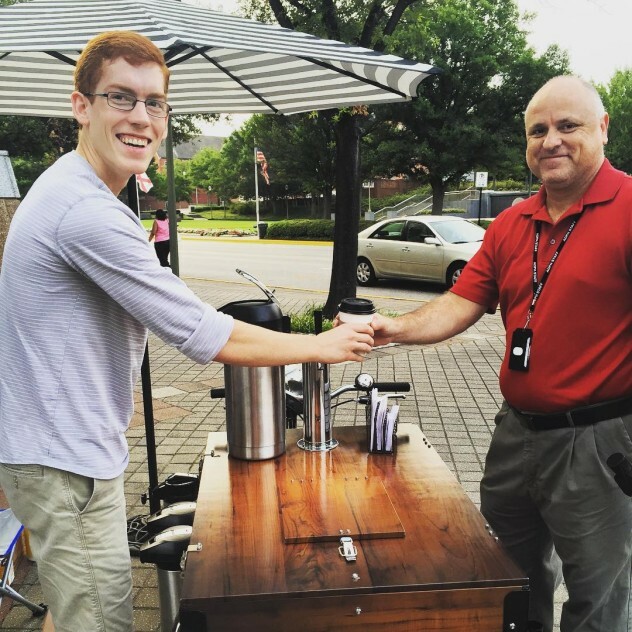 People love coffee. People also prefer it on the go! 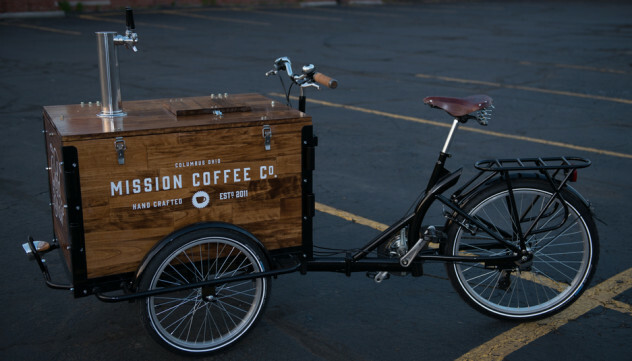 What better way to market the desire for coffee to go, than on a bike?! 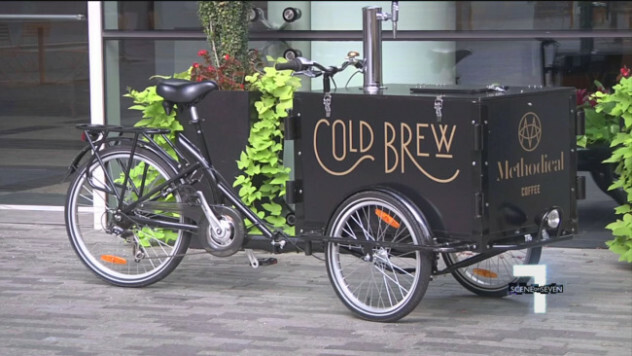 With the ease and convenience of bike lanes, your coffee bike business can be just about anywhere at any time. Coffee is quick to make and quick to make people happy. 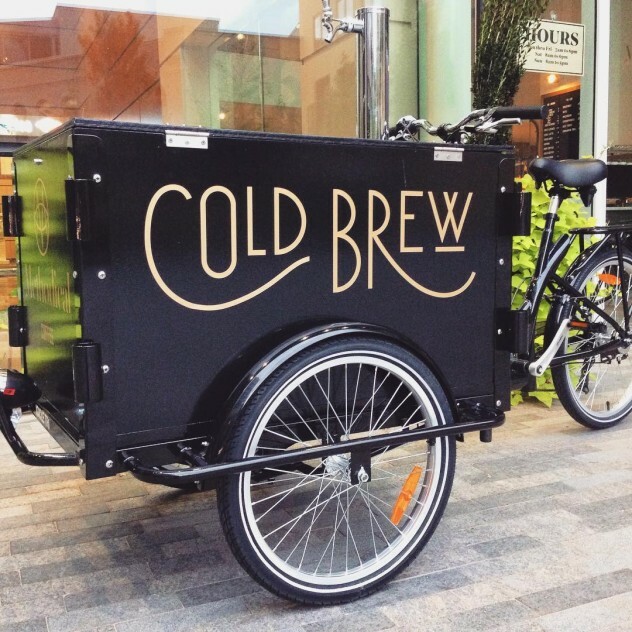 Starting up a pedal powered coffee business is both simple and powerful. Sell it hot, sell it cold. 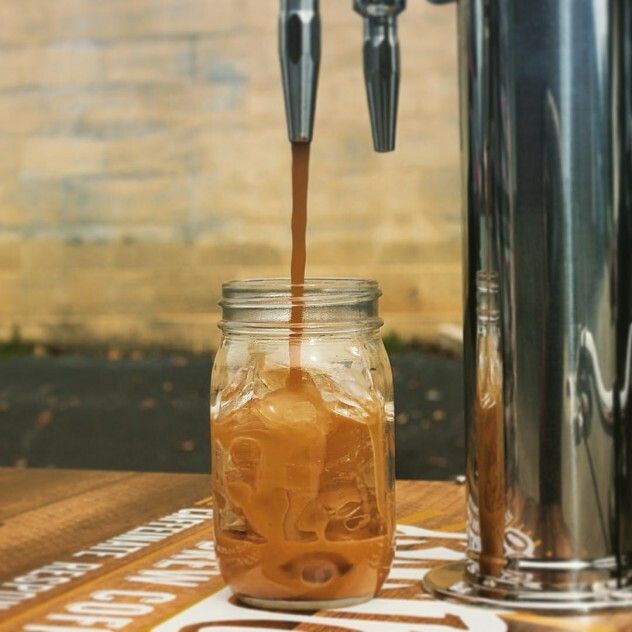 Coffee practically sells itself. On top of that, you’re on a bike! Another simple and ubiquitous cultural icon. 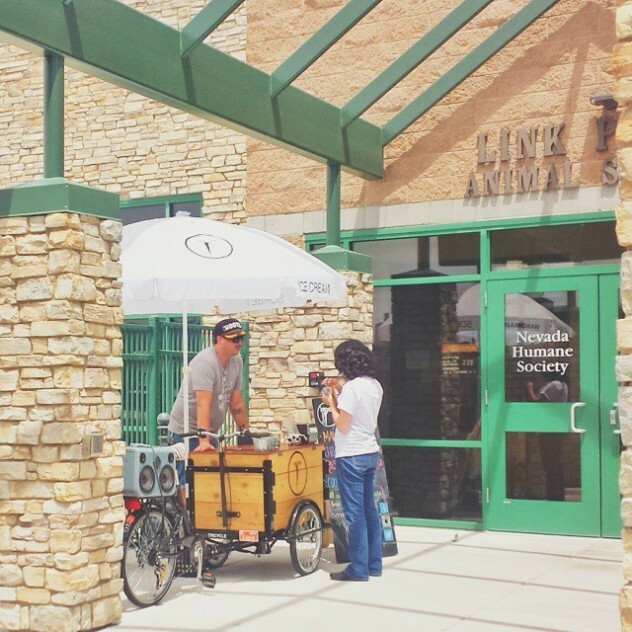 Coffee and Bikes together makes for an excellent complimentary business, as well as a great talking point of the business itself. 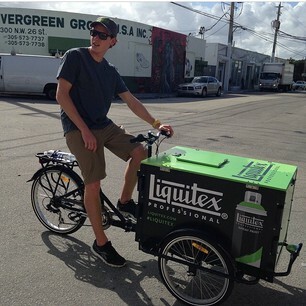 Strike up valuable and intimate conversations about biking over a fresh cup with your customers! Food. You eat it, your neighbors eat it, and your dog loves it! Face it. People need to eat to live. Food has been marketed and sold since the very first belly grumbles. Today, buying food is a culturally ingrained idea. A societal norm, as well as a requirement for survival. Restaurants, food carts, and food trucks. 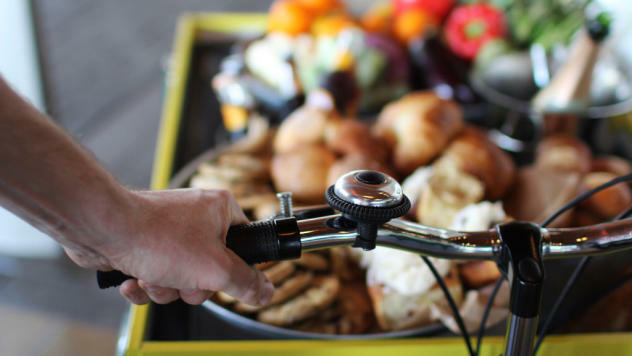 Food Bikes! 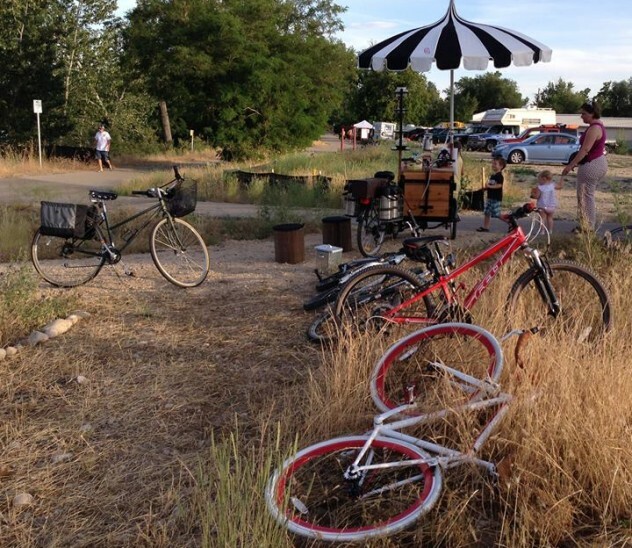 Yup, people are starting to want more than ice cream and hot dogs from a bike. Why not vegetables? Donuts? ? Salads!! Just as well as people needing to eat, they pretty much do it as a hobby! People are eating all of the time and doing it anywhere they like! That’s why it’s time to sell food on a bike. 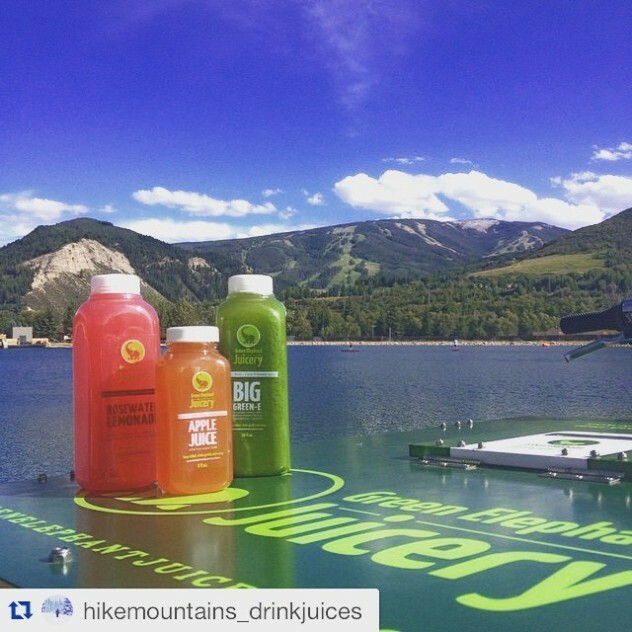 Get an IceTrike and kick the foodie revolution into new heights. 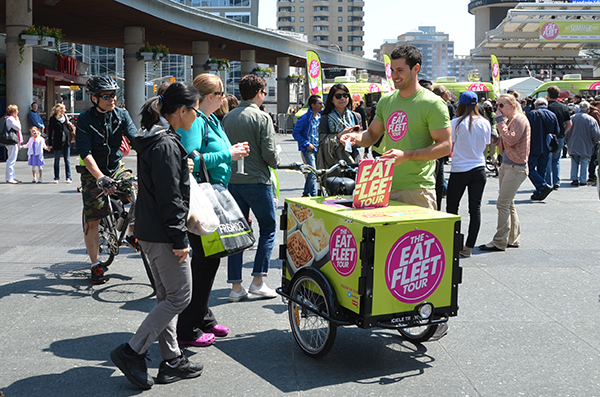 A food cart bike. 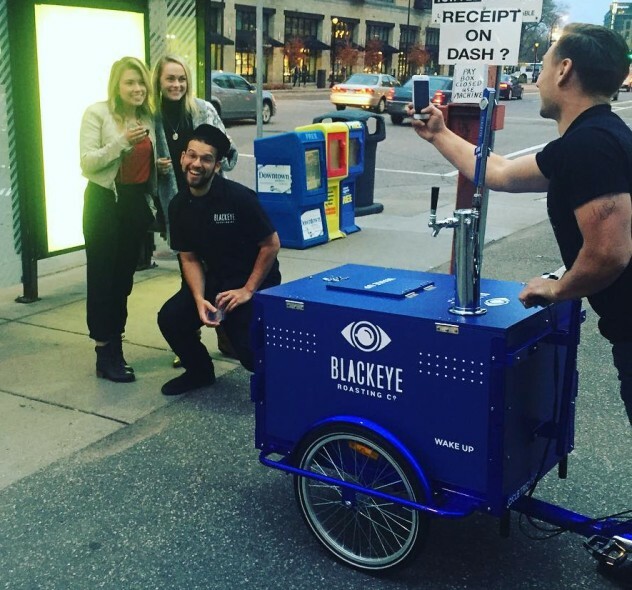 Like a hand food cart but with wheels! Practically a money machine. Absolutely a revolutionary way to feed people. Pedal to peddle. It’s a no brainer. In order to get someone to buy something, you’ve got to advertise it. Marketing is the way to get your business going. Without advertising and marketing, growing a business is near impossible. Fortunately, it’s not all that difficult. 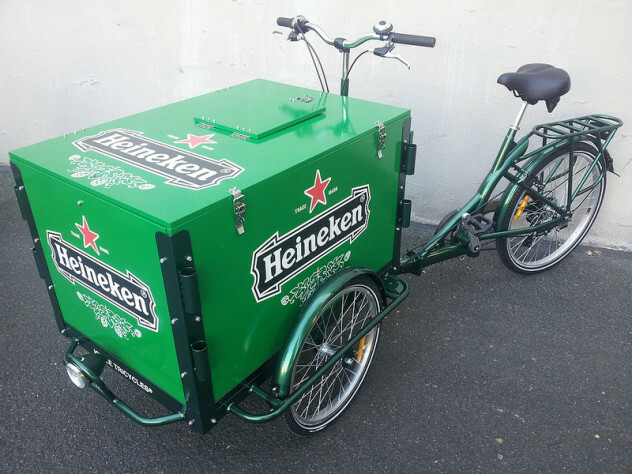 Even easier – and especially cheaper – an advertising or marketing bike is a great way to get your business rolling! 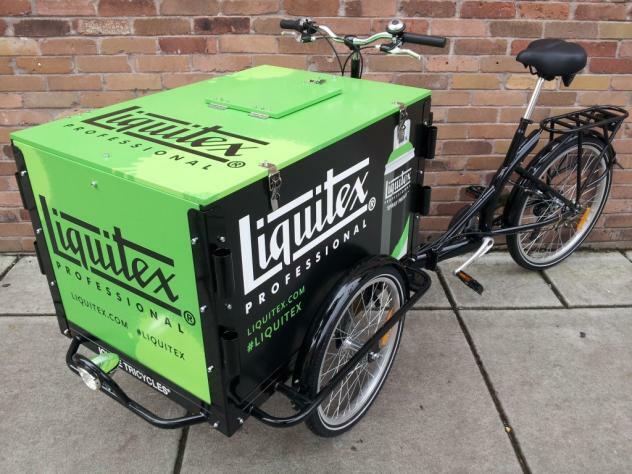 The age old task of marketing and advertising couldn’t be easier by bike. 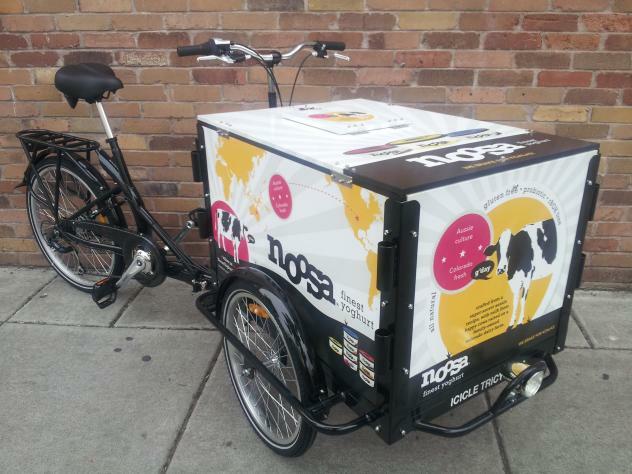 Peddle to pedal with an advertising bike! An eco-friendly, environmentally sustainable advertising platform that looks great and promotes health and wellness. It’s true, there is a market for everything. Just like art, the desire to find and own objects is an ineffable human quality. People love having stuff! People also enjoy the finding of that stuff, usually with the most positive energy given to niche experiences. What could possibly be more niche than finding a beautiful bouquet of flowers handed over by a cheerful person on a bicycle? …Maybe one from a hot air balloon!! (Icicle Tricycles does not currently offer hot air balloons or hot air balloon to bike attachments. FAA Regulations have yet to be decided on this) Okay, let’s get realistic. 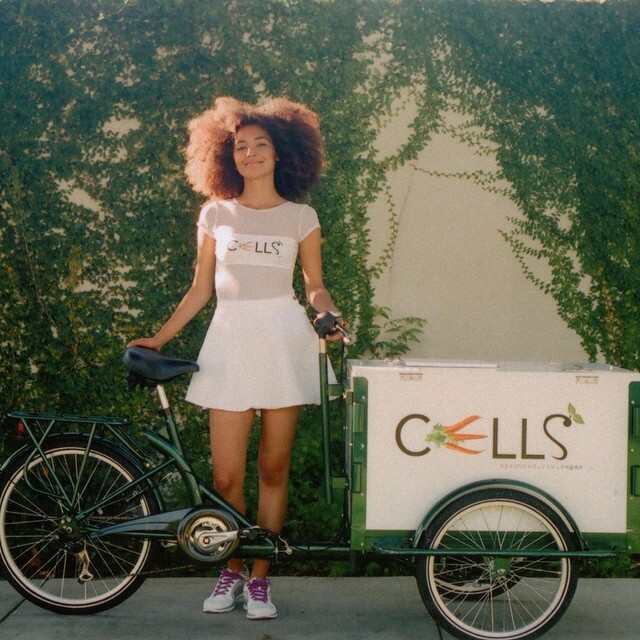 Pedal powered businesses are becoming the new norm. With new normality, comes new creativity! 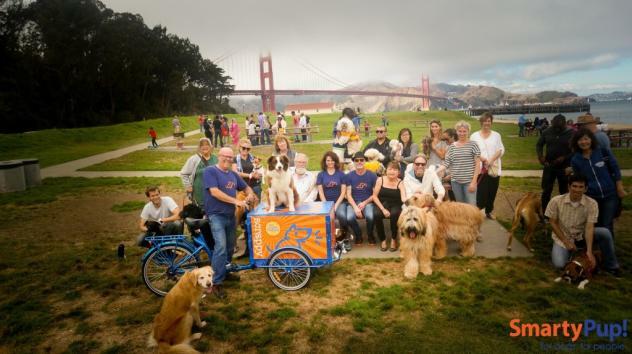 If it’s not shocking to buy ice cream and coffee by bike, there’s no reason not to roll out to a dog park with a pet food bike. Wherever people are enjoying themselves, there’s an opportunity to enterprise. Why not roll out to a public graffiti wall with an art or spray paint bike? Let Icicle Tricycles build you an environmentally sustainable carbon neutral business workhorse. Contact us when you’re ready to roll! 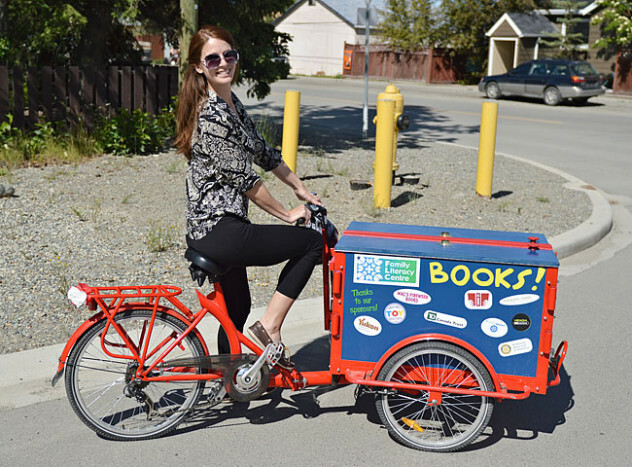 Grocery Delivery by Bicycle | The IceTrike Grocery Delivery Bike! 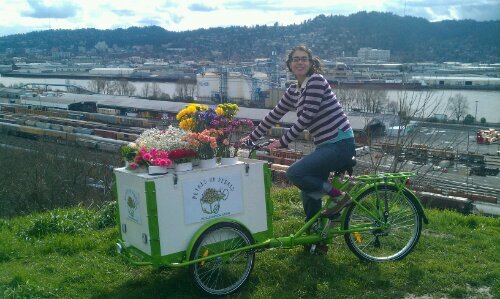 Icicle Tricycles has a long tradition of helping pastry vendors rolling by bike! 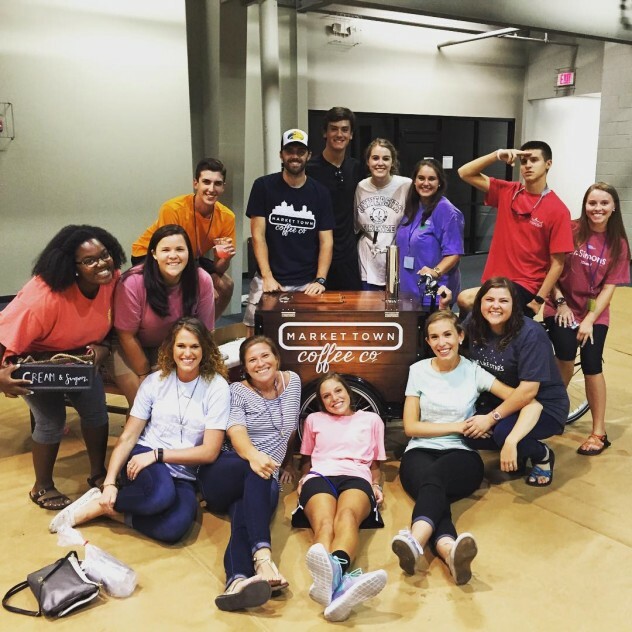 We have built pie trikes, muffin bikes, and cupcake bikes! 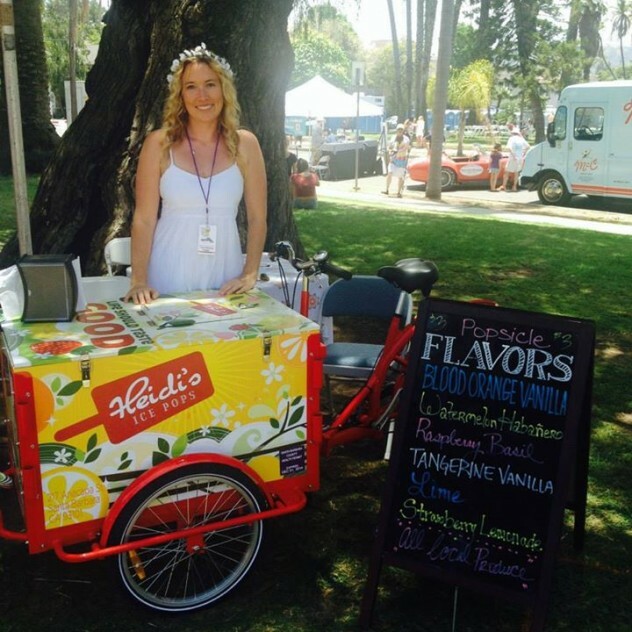 Brown Betty contacted Icicle Tricycles to build a custom Cupcake Bike for vending and catering events by bike! Icicle Tricycle in the back of a Honda Element SUV! Icicle Tricycles ships our trikes all over, but sometimes a customer will schedule a pick up at our shop. Here are photos of happy customers with their new Icicle Tricycle loaded up and ready to head home and start their new business! You are here: Home > Icicle Tricycle in the back of a Honda Element SUV!